Please note - Train Sim World: Founders Edition is no longer available for purchase, from now on players can only purchase the full Train Sim World package. For those of you who had already purchased Train Sim World: Founders Edition, you already own the ‘Great Western Express’ route, and now an ‘Upgrade’ button can be found in-game that allows you to get hold of the full experience (‘Rapid Transit’ and ‘NEC New York’). 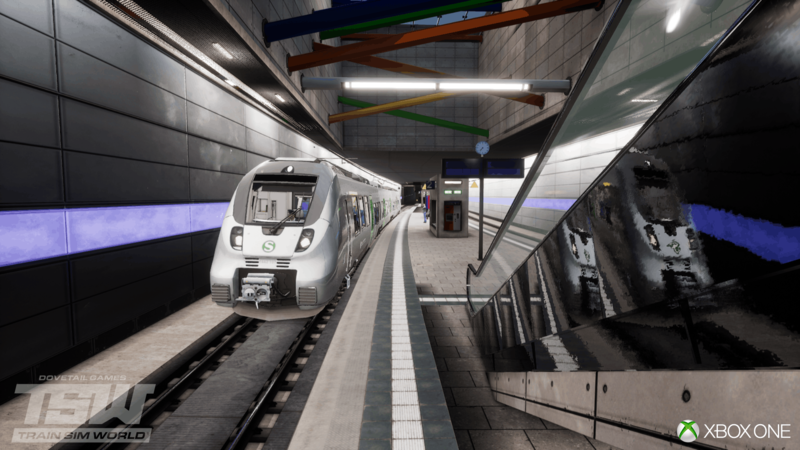 See below for how the ‘Upgrade’ path looks inside Train Sim World: Founders Edition. In the ‘Select your experience’ menu, two additional options now appear, these allow you to upgrade to either the Standard or Digital Deluxe editions of Train Sim World. 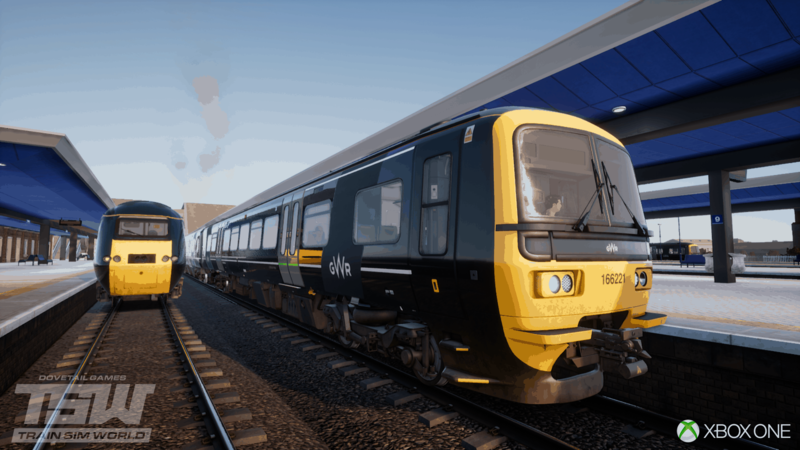 Once the additional routes, Rapid Transit & NEC New York have installed, they will appear alongside Great Western Express, and the in-game artwork will be representative of the full Train Sim World release. 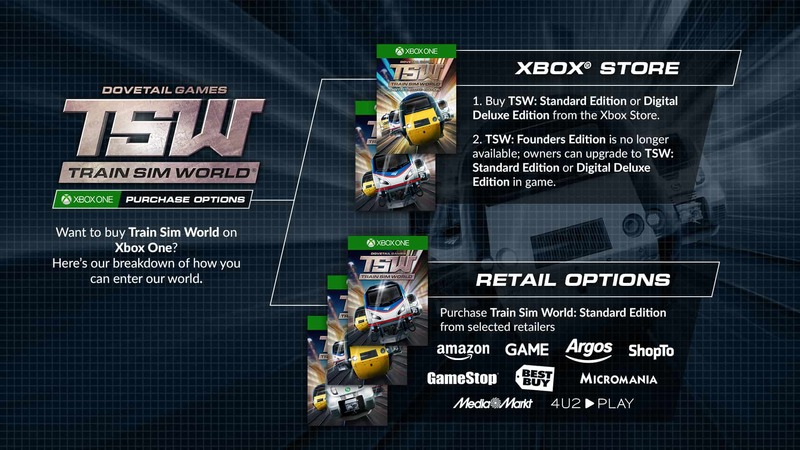 Use the Edition Picker below to select the Train Sim World for you, start by selecting the 'Xbox One' platform and then pick your edition (information on what's included pops up as you select), you can then select your preferred retailer and click the button to head to the Store. Check out Xbox One Gameplay in our Devstream!